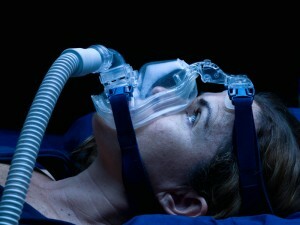 If you’re suffering from sleep apnea, chances are you’ve tried a CPAP machine to help keep your airways open. While CPAP machines are an effective form of treatment, they may not always be right for everyone. In some cases, the obstructions causing the apnea are too significant for the machine to be effective, or maybe you just want CPAP alternatives to sleep soundly without the machine. There are surgical treatments for sleep apnea that can be used to treat obstructive sleep apnea. Most cases of apnea can easily be treated using a CPAP machine and adjusting certain lifestyle factors. However, severe cases of obstructive apnea or for those who can’t tolerate the CPAP machine, surgeries can be performed to correct the obstructions. Among the most common surgery performed is Uvulopalatopharyngoplasty (UPPP). Using this surgery, small areas of the uvula and soft palate are removed to enlarge the oropharyngeal airway. This not only reduces snoring, but is also effective for treating obstructive apnea when the soft palate is the cause of the obstruction. New technological innovations now allow for laser-assisted uvulopalatopharyngoplasty, which uses the assistance of a laser for more precise results with decreased recovery and discomfort. For those who have obstructions caused from the collapse of the tongue base, jaw advancement surgery is the best option. This option involves moving the upper and lower jaw forward slightly to increase the size of the airway. By pulling the tongue forward from moving the jaw, there is increased tension on the muscles to keep the airway open. Both jaws are often moved to ensure a proper bite is maintained. Depending on the obstruction, a tonsillectomy and adenoidectomy may be performed, however, it’s a more common treatment for children. If the tonsils or adenoids are too large, removing them will open the airways to treat the obstruction. Radiofrequency ablation (RFA) is another surgical treatment that is sometimes used. This procedure reduces the size of the tongue and other tissues that obstruct the airflow. By reducing the abnormal size, airflow to the lungs is promoted. There are a number of different surgical treatments that can be used to treat obstructive apnea, depending on the cause. For example, another option is bariatric surgery for those who have apnea due to obesity. For others, implants may be needed to help harden the soft tissue to keep the airway open, while others may need surgical procedures to repair bone and tissue abnormalities of the mouth and throat that restrict airways. Surgical treatments for sleep apnea should only be used when other methods have failed or are not tolerated. Should surgery be required, you need an oral and maxillofacial specialist by your side to safely and effectively handle the procedure. If you’re looking for a CPAP alternative with a surgical solution, call Piney Point Oral and Maxillofacial Surgery today at (832) 924-8142 to discuss your options. Dr. Weil and Dr. Koo will provide you with the most appropriate treatment for your unique case.